There are at least six standard mattress sizes and one crib mattress size. Figuring out the best size for your needs may seem like rocket science if you are unfamiliar with the dimensions. “Twin size” sounds like it’s meant to fit twins, right? (Hint: No!) And, can you sleep on a queen or king mattress if you aren’t royalty? (Yes!)  Below, we clear up the misconceptions you may have about mattress sizes and make recommendations based on your size and sleeping arrangements. The dimensions of a crib size mattress are actually regulated by the federal government through the Consumer Product Safety Improvement Act. The standards call for a minimum size of 51-5/8” long by 27-1/4” wide. And, the thickness cannot exceed six inches. The interior dimensions of cribs are also regulated. The standard size is about 52-3/8” by 28”. Unfortunately, there is no universal fit. Your goal is to make sure that there is no more than two fingers of space between the crib frame and the mattress. This will help you avoid entrapment or suffocation hazards. The standard twin size mattress size is 75 inches in length by 39 inches in width. Commonly referred to as a “single” mattress, the twin mattress should be able to sleep one adult or one child. However, taller adults may find that the length of the twin mattress is too short for them (75 inches is equivalent to 6’3”.) If you are taller than about six feet, then you will likely feel more comfortable on a bed that is twin XL sized. Daybeds, bunk beds, children’s rooms, guest bedrooms, and other smaller spaces can usually benefit from a twin size mattress. It is also worth noting that twin mattresses are the smallest and most affordable standard mattress size. 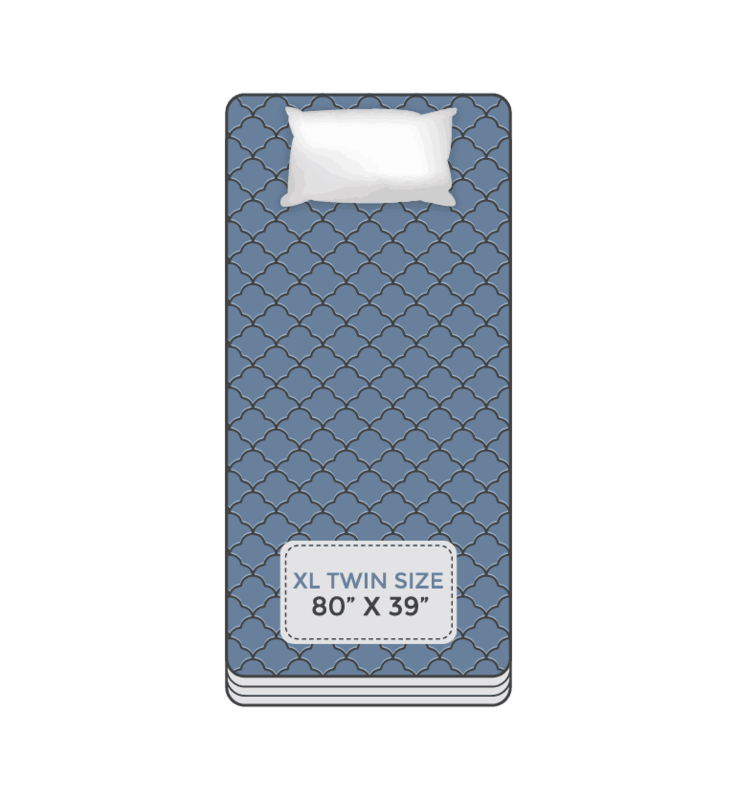 The XL size twin mattress is quite similar to the twin mattress only it is about five inches longer. The overall dimensions are 80 inches in length (about 6’8”) by 39 inches. These mattresses are most often found in guest bedrooms and dorm rooms because they are excellent space savers. 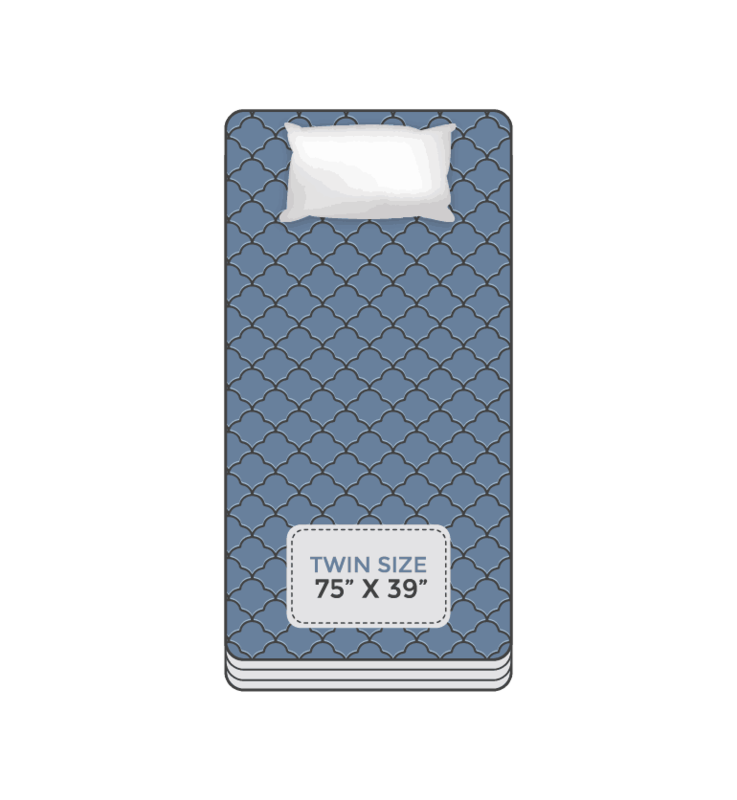 As mentioned above, taller adults who want a twin-size option may prefer the twin XL mattress because it adds the extra length to a sleeping space. Sometimes called a double mattress, a full-size mattress offers much more sleeping area width than the twin size mattress. Its dimensions are 75 inches in length by 54 inches in width. If you were to divide the full mattress in half and try to share it with someone else, each person would get about 27 inches of sleeping width, which is close to the width of crib mattresses. 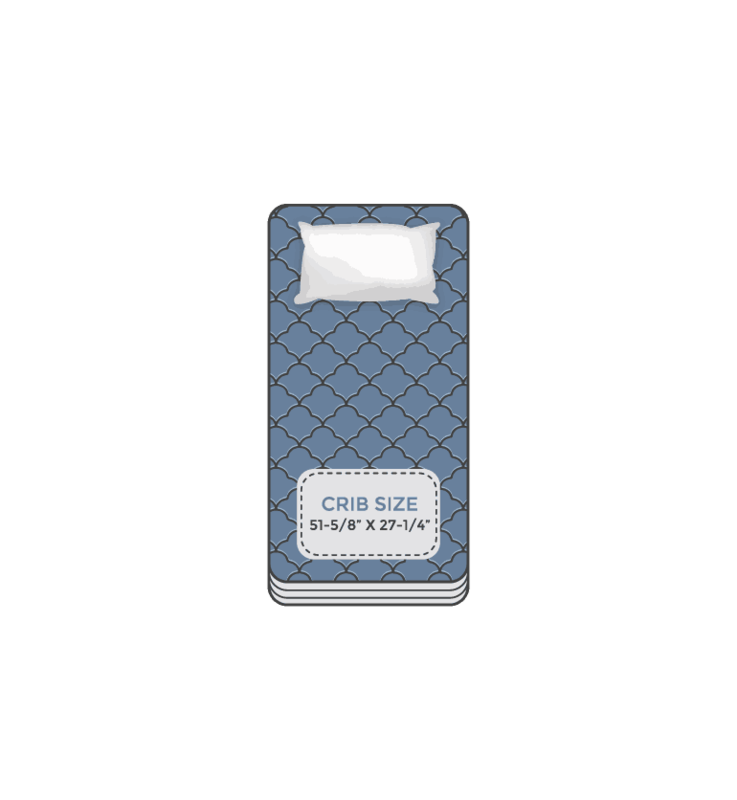 Therefore, with its 16 extra inches of width compared to a twin mattress, the full mattress is best for one active sleeper. Growing children with plenty of room space will benefit most from the full-size mattress. The extra space makes it so parents can also lie down on the bed to read a nighttime story and tuck their children in at night. People interested in preserving living space in their bedroom while still having plenty of sleeping space may prefer the queen size mattress. Its dimensions are 80 inches in length by 60 inches in width. 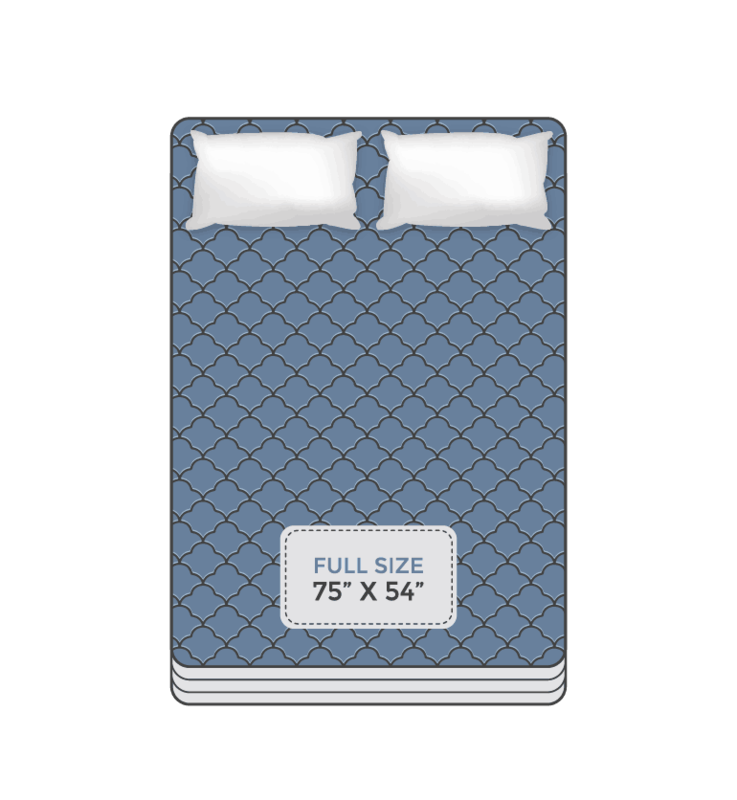 A queen size is terrific for couples that want to sleep close together or for taller adults and growing children. This is because it has more width and length than full-size mattresses. The most common mattress size in the country today, queen mattresses are a smart alternative for guest rooms. 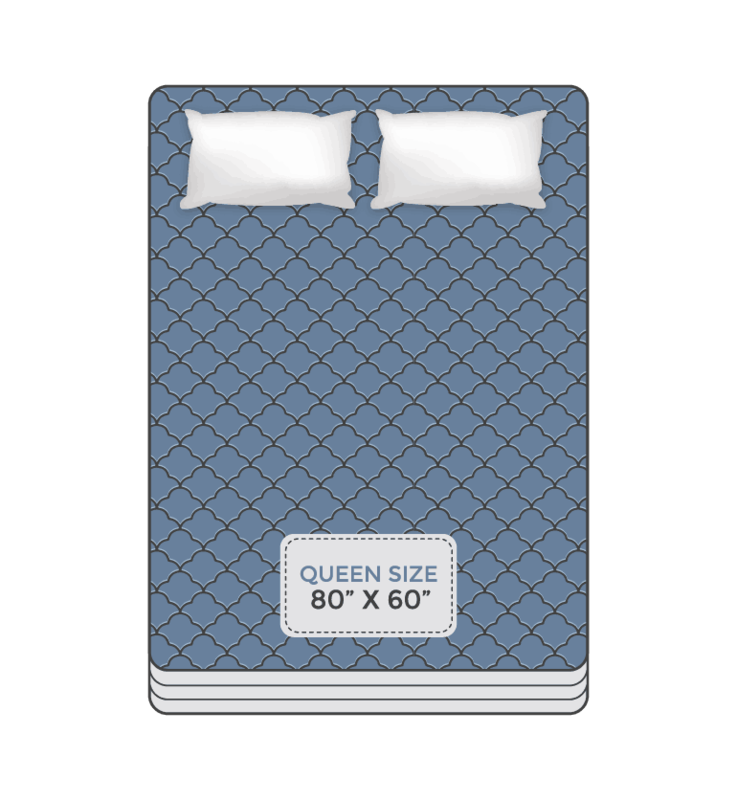 When companies list the prices for their beds, they typically advertise the queen price since this size is so popular. Queen mattresses are the least expensive standard size for couples. At 80 inches in length and 76 inches in width, the king size mattress is usually the ideal option for couples who want ample sleeping space. This mattress is essentially the same size as putting two twin XL mattresses together. If you have cats, dogs, or kids who will be sharing your bed with you, this might be your best choice. The box springs for king size beds are generally split due to the sheer size of the mattress. This makes it easier to move the rigid foundation around tight corners and stairs. 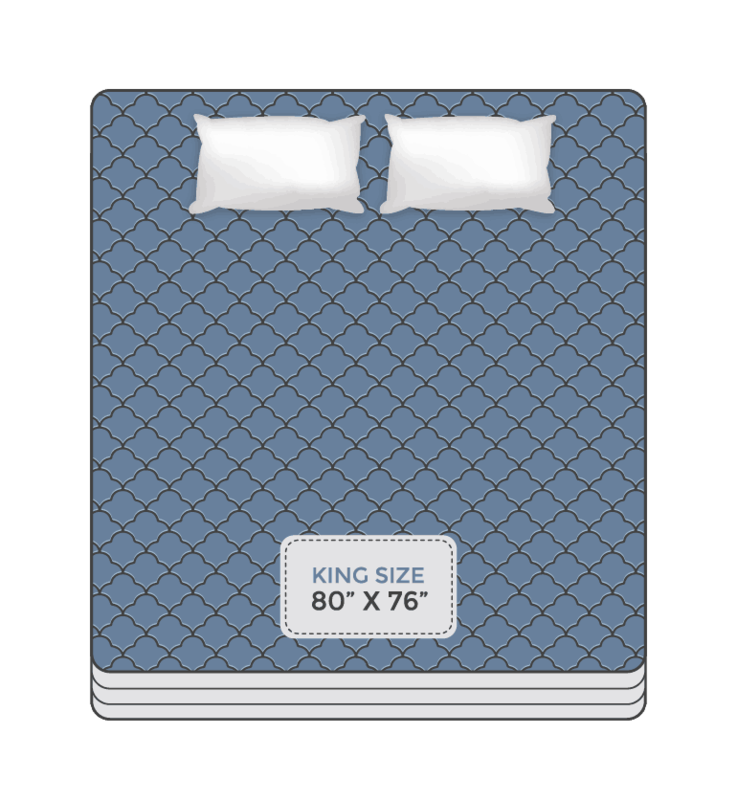 Of the standard mattress sizes, king size is the most spacious. If you are looking for maximum sleeping length, the California king mattress is your best bet. At 84 inches in length (or 7 feet) by 72 inches in width, the Cal king is 4 inches longer than the standard king but 4 inches narrower. 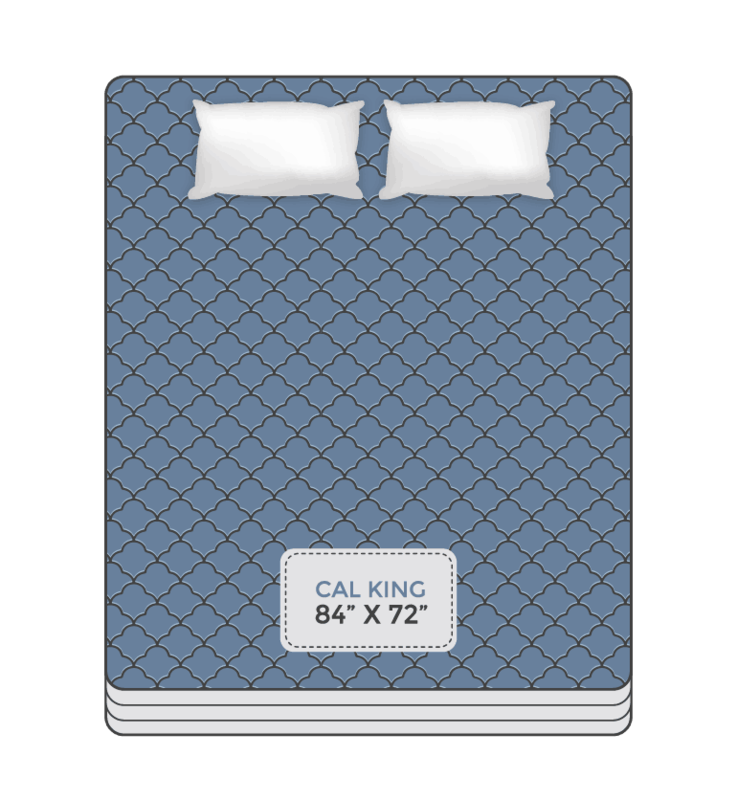 And, compared to a queen size mattress, a Cal king bed still affords 12 inches more of sleeping width. The Cal king size is a great adjustable bed option because it has the additional length. Even with the foot or head of the bed elevated, you still get plenty of length. What size is a Single size bed? The dimensions of both a single bed and a twin-size bed are 75 x 39 inches or 96.5 centimeters x 190.5 centimeters. Bed sizes can be complicated as different names may represent the same sizes. A single bed is a term used to describe a bed that can fit in one person. What size is a Double size bed? The double size is the same as a U.S. full-size. The dimension of the double is 54 x 75 inches or 137 centimeters x 191 centimeters; this size mattress allows space for two people.